They say Portland's east side is 'flat'. I've always laughed at that description. In some places, not even comparably flat serves the topography. It's level in spots but well makes up for it in others. 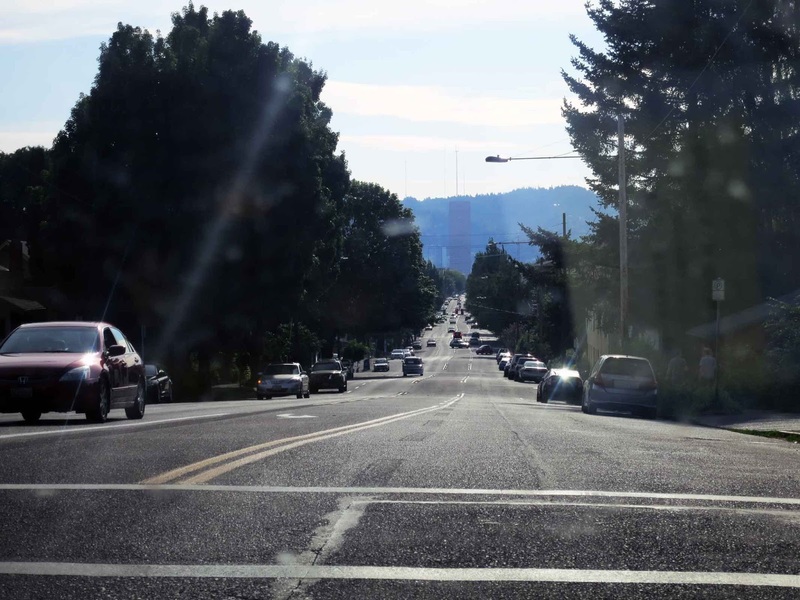 Several places offer these long, lovely vistas down eastside streets. 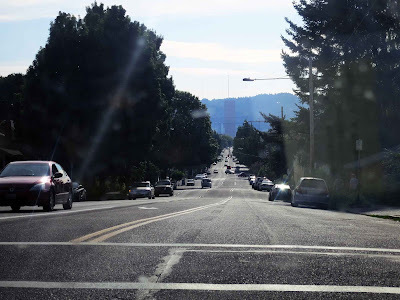 In the distance, you'll see the US Bancorp Tower (Oregon's 2nd tallest building) and backing that up, the West Hills area approximating King's Heights. These views are particularly intriguing to me because the large blocks of mass depicted by the trees and the road resolve into nice simple shapes that suggest an impressionist painting.